Even a relatively mild Zika outbreak in the United States could cost more than $183 million in medical costs and productivity losses, suggests a computational analysis led by Johns Hopkins Bloomberg School of Public Health researchers, while a more severe one could result in $1.2 billion or more in medical costs and productivity losses. Reporting last week in PLOS Neglected Tropical Diseases, the researchers estimated the potential impact of a Zika outbreak based on a variety of epidemic sizes. They focused on five Southeastern states and Texas, the U.S. locations most populated by Aedes aegypti, the mosquito most likely to carry the disease. While many people with Zika show mild symptoms, if any, a Zika infection during pregnancy can cause birth defects such as microcephaly or other severe brain defects. 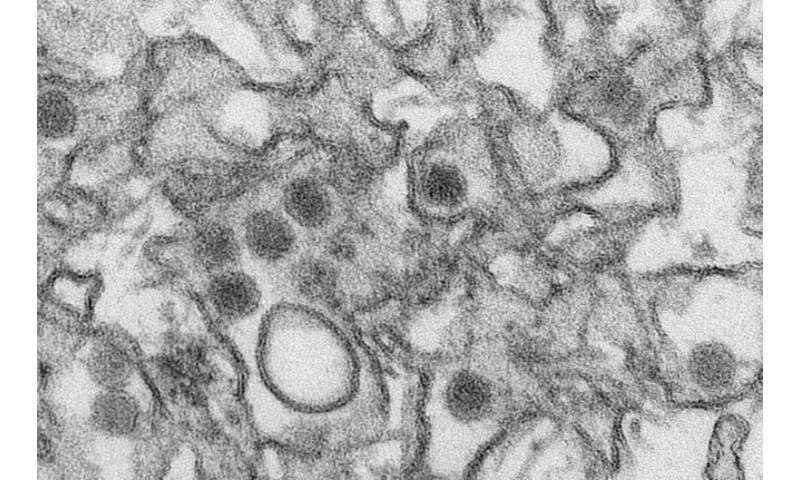 In regions affected by Zika there have also been increased reports of Guillain-Barré syndrome, a rare illness of the nervous system. There is no treatment nor is there a vaccine to prevent Zika. "This is a threat that has not gone away. Zika is still spreading silently and we are just now approaching mosquito season in the United States, which has the potential of significantly increasing the spread," says study leader Bruce Y. Lee, MD, MBA, an associate professor in the Department of International Health at the Bloomberg School. "There's still a lot we don't know about the virus, but it is becoming clear that more resources will be needed to protect public health. Understanding what a Zika epidemic might look like, however, can really help us with planning and policy making as we prepare." With funding for Zika detection, prevention and control still uncertain, policymakers need estimates of Zika costs to help guide funding decisions, the researchers say. It is unclear how many people in the United States have already been infected and how many more cases will occur this summer, but the findings, they say, are further evidence that the costs of any Zika outbreak would be high. For their research, Lee and his colleagues from the Johns Hopkins Bloomberg School of Public Health, Yale and the National School of Tropical Medicine developed and ran a computational model based on different rates of spread of Zika if it were to hit Florida, Georgia, Alabama, Mississippi, Louisiana and Texas, taking into account factors including health care costs - such as visits to the doctor, laboratory tests and the lifetime cost of caring for a child born with microcephaly - as well as productivity losses. Even when assuming an attack rate - that is, the percentage of the population that eventually gets infected - of only 0.01 percent, the model estimates that Zika would cost more than $183 million and cause more than 7,000 infections, two cases of microcephaly and four cases of Guillain-Barré. An attack rate of one percent would cause more than 704,000 infections, 200 cases of microcephaly and 423 cases of Guillain-Barré. The one-percent attack rate could result in $1.2 billion in medical costs and productivity losses. A 10-percent attack rate could result in more than $10.3 billion in medical costs and productivity losses. These attack rates would still be substantially lower than those observed in French Polynesia (66 percent), Yap Island in Micronesia (73 percent) and State of Bahia in Brazil (32 percent) where the current Zika outbreak is believed to have originated. They are also lower than recent outbreaks of chikungunya, a virus spread the same way as Zika, including one in Puerto Rico (23.5 percent). After much delay last year, Congress allocated $1.1 billion for mosquito control efforts and vaccine development, as well as for emergency health care for Puerto Rico, where more than 35,000 people contracted the virus. Lee believes far more money may be necessary, given his estimates for medical care. "Without details regarding the Zika-prevention measures that would be implemented and how effective these may be, it is unclear what percentage of these costs may be averted," Lee says. "But our model shows it is very likely that preventing an epidemic - or at least finding ways to slow one down - would save money, especially since epidemics like Zika have hidden costs that aren't always considered."